The Journal of Geoethical Nanotechnology | Consciousness in Humans and Elsewhere, Barry Blumberg, Ph.D. This article was adapted from a lecture given by Barry S. Blumberg, M.D., Ph.D., at the 2nd Annual Workshop on Geoethical Nanotechnology, July 20, 2006, at the Green Mountain Retreat of Terasem Movement, Inc., Lincoln, VT.
Baruch Samuel Blumberg, M.D., Ph.D. was awarded the Nobel Prize in Physiology/Medicine in 1976 for his contributions in discovering the Hepatitis B vaccine. In this essay, Blumberg describes the complex mechanisms by which the Hepatitus B virus is able to survive, thrive, transmit and replicate itself. These mechanisms are so complex that the virus seems to have a plan, a strategy, tactics and an intentional drive - which are all characteristics of a conscious being. Blumberg poses the question, should we therefore consider HBV to have a consciousness? In other words, just because something behaves as though it has a consciousness, is it indeed conscious? During the course of the research on the Hepatitis B virus (HBV) that my colleagues and I have conducted for many years, several questions have arisen that relate to the subject of consciousness. HBV is a very small virus whose genome consists of only 3,200 base pairs and four reading frames that produce about 8 proteins. This is the smallest number of base pairs of any human pathogen with the exception of the Hepatitis D virus (HDV), which has only about half the number of base pairs as HBV. HDV is a strange virus that can only infect people that are already are infected with HBV, or by co-infection with its larger liver-bound companion virus. 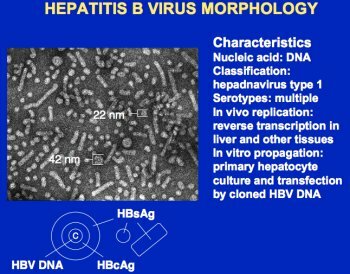 Despite the apparent simplicity of structure and information content, HBV has a complex lifestyle, which has developed to allow it to interact successfully with its primary host, humans. The issue that relates to the topic of geoethical nanotechnology and consciousness is that the easiest way to explain HBV’s complex mechanisms of environmental interactions is to infer that the virus or swarm of viruses has a plan, a strategy, tactics, and an intentional drive. The question is; what is the difference between explaining the actions of an organism as exhibiting a plan, and the organism actually having a plan? I use the terms strategy and tactics in the military sense. Strategy refers to the plans made before engagement with the enemy, such as long range planning, politics, logistics, communications, transport to the scene of battle. Tactics refer to the more direct and short term plans and actions when the enemy is in sight and engaged. Biology, and in particular immunology and infectious disease, frequently uses the terminology of hot and cold war, a heritage from the early days of microbiology, which started as medical microbiology with the concept of a war on infectious agents foreign to the host. My understanding is that having a plan is a characteristic of consciousness. If an organism is aware that it exists, then there is a “motivation” to plan for a somewhat predictable, yet mysterious future. It is a characteristic of sentient life itself. Does that mean that HBV has a consciousness? Robert Loeb, Professor of Medicine at the College of Physicians and Surgeons of Columbia University, has said: “Teleological explanations are fraught with danger.” The Wikipedia encyclopedia defines teleology (derived from the Greek telos: end, purpose) as the philosophical study of design, purpose, directive principle, or finality in nature or human creations. It is obvious that the search for purpose and design in nature hinges on the current and ancient debates on the nature of the designer, intelligent design and other aspects of the interaction of science and religion. Figure 1 is an electron micrograph of the virus. The large particles are the whole virus. The smaller and the elongated particles contain only the surface antigen of the virus. There are many more surface antigens than the whole virus. The virus includes the surface antigen (HbsAg), the core antigen (HbcAg) that surrounds the DNA, and the priming protein. (SLIDE 5) The genome includes four reading frames, the S gene that produces the HbsAg or S protein, the C gene that produces the HBcAg or C protein, the P gene that produces the reverse transcriptase and DNA polymerase needed for replication, and the X gene that produces HBxAg or the X protein that is needed for replication and other processes. 6. Genome  A complete haploid set of chromosomes with its associated genes. Stedman’s. Medical dic·tion·ar·y, second edition. Boston, New York: Houghton Mifflin Company, 2004: 138.